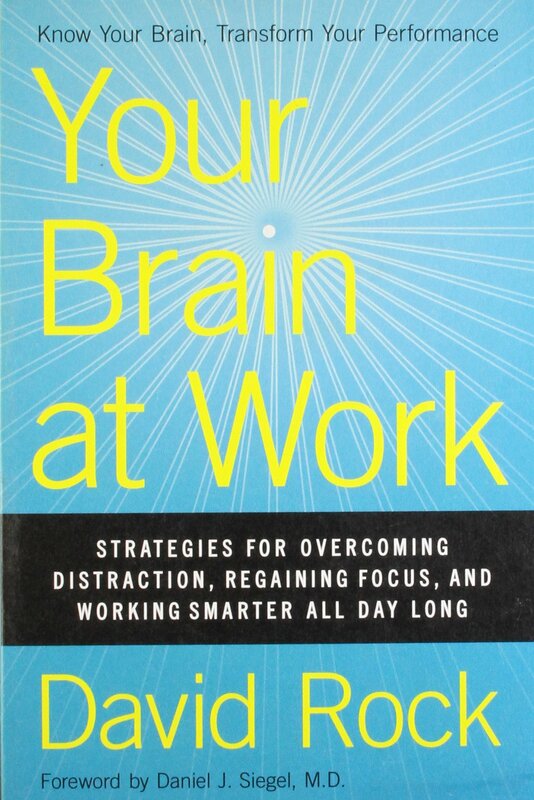 About the book: your brain at work david rock takes the reader inside the heads-literally-of a modern two-career couple as they mentally process their workday and show us how a more nuanced understanding of the brain allows us to better organize, prioritize, remember, and process our daily life. Meet emily and paul: the parents of two young children, emily is newly promoted executive in a large corporation, while paul has his own business as a consultant. Their lives, like all of ours, are filled with a bewildering blizzard of emails, phone calls, yet more emails, meetings, projects, proposals, and plans. Just staying ahead of the storm has become a seemingly insurmountable task. 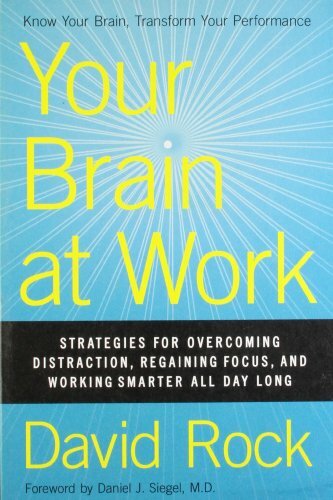 In this book, we travel inside emily and pauls brains as they attempt to sort the vast quantities of information theyre presented with, figure out how to prioritize it, organize it and act on it. Fortunately for emily and paul, theyre in good hands: david rock knows how the brain works-and more specifically, how it works in a work setting. Rock shows how its possible for emily and paul, and thus the reader, not only to survive in todays overwhelming work environment but succeed in it-and still feel energized and accomplished at the end of the day.